I had my first tortoise when I was a young boy. Like many boys I was all about the outdoors, bugs, tortoises, reptiles etc. and so my dad got me and my sister a tortoise that we took care of in our backyard. Having a pet tortoise is a lot of fun and you need to know the basics to get started as well as have success with your pet long term. I am definitely not a guru or the “Horsefield tortoise Whisperer” over here lol, but I do know how to property care for your tortoise. I decided to get this information out to as many people as I possibly can because I saw that there were many unanswered questions and a lot of contradictory answers. I saw a lot of new owners or potential owners with questions not being answered, answered incorrectly or incomplete. I basically found enthusiasts that needed more information just for one type of tortoise. Much of what is out there is very general on the topic of tortoises. 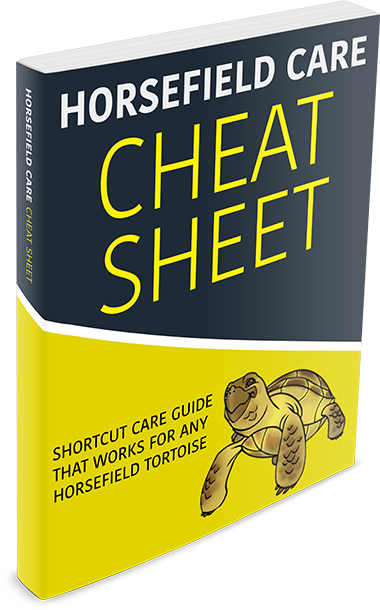 Many web pages and books try to cover all bases and tortoises (which is great) but for someone who just has a Horsefield tortoise they will need specific information and answers just on that one type. My goal starting out was to help other Horsefield tortoise owners or people that were looking into owning one. The most critical information is provided like food, housing, hibernation, breeding and a lot more! I am setting out to provide the best resource for the Horsefield tortoise on the Internet and give as much valuable information as I can on all things related to taking care of your pet. The best approach is to learn every single aspect in depth but thorough small consistent doses of information, which is why I created the email mini-course. Sign up and you will be delivered info everyday and you will be a pro in no-time!